IPOH: ACE Market-listed Perak Transit Bhd’s share price climbed to an all-time high of 37 sen two weeks back. The company’s impressive quarterly earnings, which were released last month, could be the impetus for buying interest. The bus terminal operator’s net profit more than doubled to RM7.72 million in the second quarter ended June 30, 2017, largely due to rental income from advertising and promotional spaces at its terminal in Ipoh, in addition to the rental received from retail shops and kiosks, and project facilitation fees. The stock, however, was under some selling pressure after the ex-date of its one-for-10 bonus issue that fell on Sept 12. It retreated from the peak to 29.5 sen last Thursday. Still, its share price is double its initial public offering price of 15 sen, making it the star performer among new listings last year. Perak Transit is probably the only public-listed company on the local bourse that offers exposure to bus terminal operation. It may not appear inspiring to some investors, nonetheless others see it as a business that offers steady recurring income as people need to commute and coach is affordable form of transport. On top of that, there is a barrier to entry in the business. “To develop a bus terminal is not easy as we must get approvals and land title from the state and federal authorities,” said its managing director Datuk Seri Cheong Kong Fitt, who is also the largest shareholder holding a total stake of 38.92%. 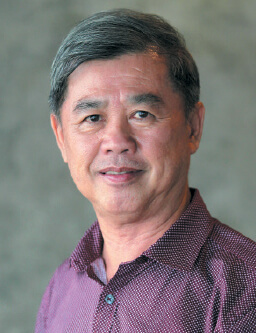 The land public transport commission often allows only one express bus terminal per council, according to Cheong. He noted that it was necessary to have one bus terminal as part of township development, for instance Kampar. It builds and operates the only gazetted express bus terminal in Ipoh, the Amanjaya terminal. Perak Transit also provides bus services and operates four petrol stations. However, Cheong stresses that bus terminal is the core business which it intends to expand for future earnings growth. “We will concentrate on building more terminals instead of focusing on the express or stage buses and our petrol stations, as terminals are long-term assets with recurring income while the value of buses depreciates very quickly,” Cheong told The Edge Financial Daily. Perak Transit has a dividend policy of paying out 25% of net profits. So far, the company’s dividend payment has exceeded that ratio. It has declared a total of 0.85 sen per share since it has been listed. For the six months ended June 30, Perak Transit rewarded shareholders with dividend per share of 0.7 sen.
Perak Transit’s earnings are expected to grow further once the RM128 million Kampar terminal, which will also include recreational facilities, a supermarket and a hotel, commences operation by end of next year. Affin Hwang expects the company’s net profit to balloon to RM41.8 million and a revenue of RM160.7 million for the financial year ending Dec 31, 2019 (FY19) when the new terminal is fully operational. This will translate into earnings per share of 3.7 sen. Based on the earnings forecast, the stock is trading at forward price-earnings ratio of about 12.3 times. The research outfit has forecast dividend of 0.8 sen and 1.2 sen for FY18 and FY19 respectively. Perak Transit has also been acquiring land, most recently in Tronoh, Bidor, and Kinta to construct more terminals. It is also exploring opportunities for the construction and management of terminals in Temerloh, Pahang and Kemaman, Terengganu, as well as the management of existing terminal facilities in a major city in Pahang. Meanwhile, Cheong said the company intends to bring down its gearing, although it is not considerably high at 0.63 times following the acquisition of a RM10 million office building. His target is to keep the company’s gearing below the bank-recommended level of 0.75 times. This is the rationale for the company to issue free warrants on the basis of one warrant for every two shares. Cheong said Perak Transit will be able to raise RM130 million should all warrants are exercised. The derivatives expire within a three-year period from the date of issue. He added that the group was mulling additional corporate exercises in order to pare down debts for its corporate exercises, although it would take care to ensure shareholdings were not diluted too much. The derivatives expire within a three-year period from their listing date on Sept 26.